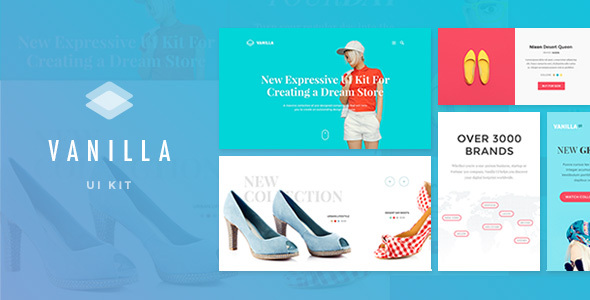 Meet Vanilla UI Kit for Sketch, a pack of responsive blocks for creating wonderfull resources. Vector Shapes. 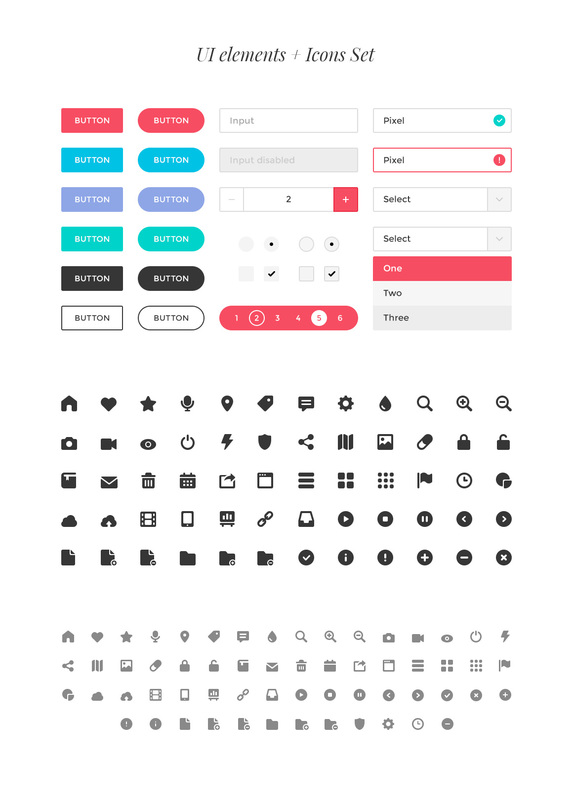 All included web elements and icons were made using vector shapes, what guarantees easy customization and retina-ready support. Pixel Perfect. 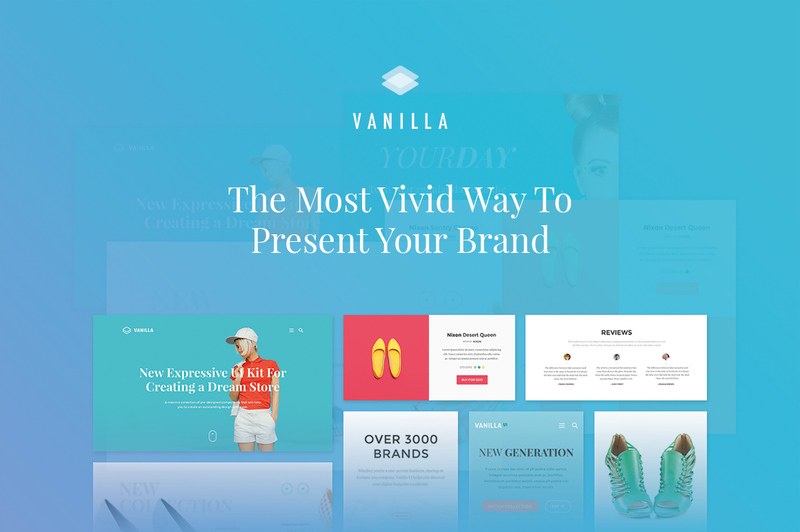 Attention to the details makes the Vanilla UI Kit a truly impressive tool, which is very nice and comfortable in use. Free Fonts. We used only Google Fonts library that fact would make your work with the fonts very effective and convenient. Bright Colors. We created a truly expressive solution able to touch yours and your client’s hearts. 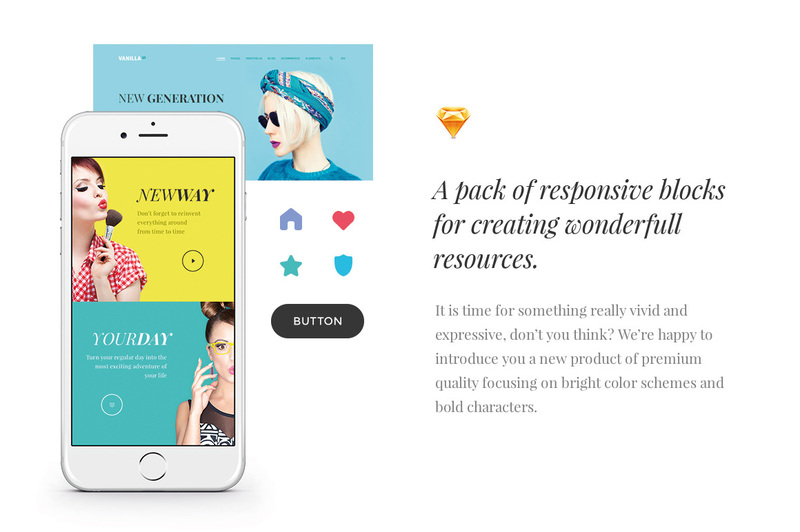 A bright UI for bright projects.